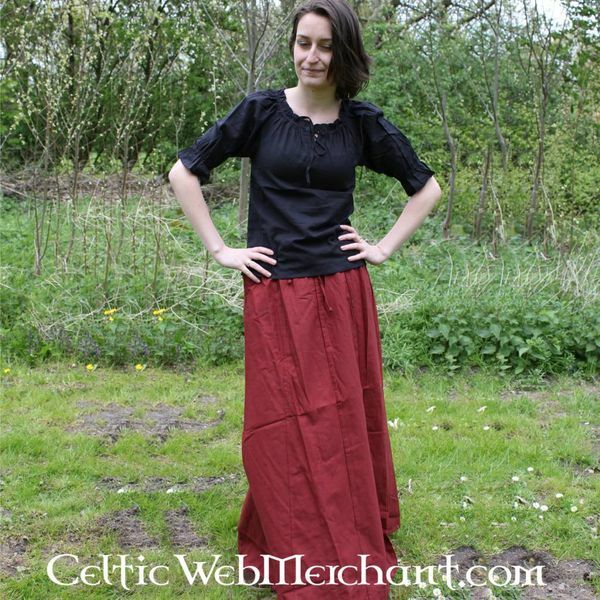 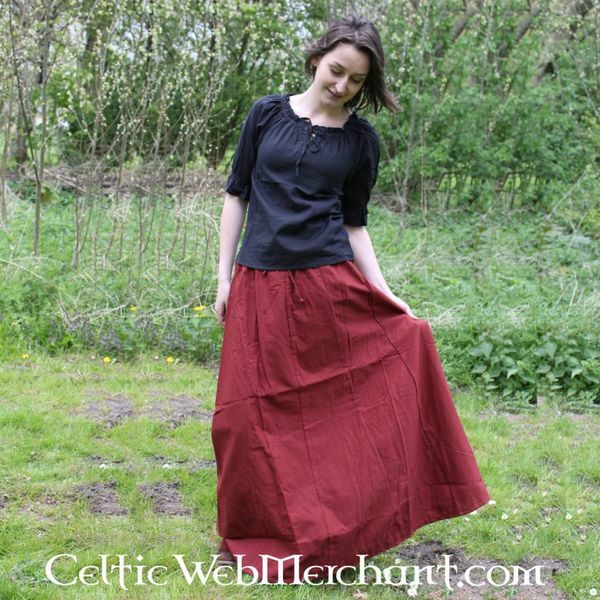 This blouse has half-length sleeves and is made of cotton. 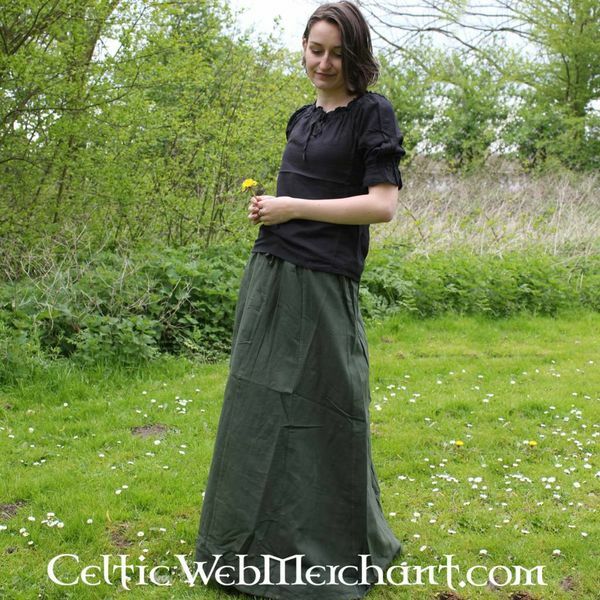 The sleeves and neck are lined with elastic so the blouse can be worn with bare shoulders. 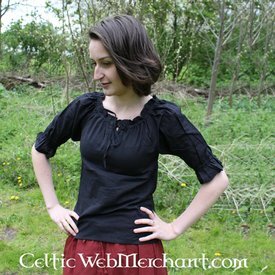 The blouse is available in the sizes S up to XXXL in the colours black, green, red, white and cream.